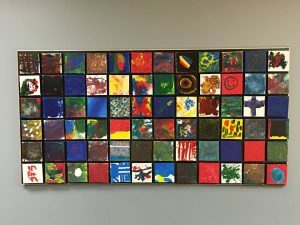 The mission of the Autism Art Project is to showcase the artistic talents of children and young adults on the autism spectrum and to celebrate their unique perspectives, promoting community understanding and appreciation of autism. They produce the Awesome Autism Awareness and Acceptance Art Show in April, hosted by Arc of Southeast Iowa, as well as other community events throughout the year. 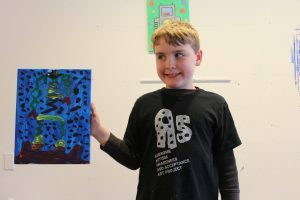 This fall, there will be an art show where adults on the autism spectrum can showcase and have the option to sell their work in a gallery setting. 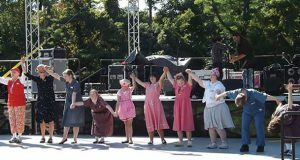 Combined Efforts is Iowa’s only theater company with a mission of purposeful inclusion of individuals with disabilities in performances. In addition to the acting company, they organize a men’s choir, dance company, writer’s group, and an expressive arts group. 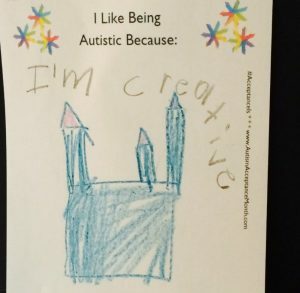 This group is for adults on the autism spectrum. 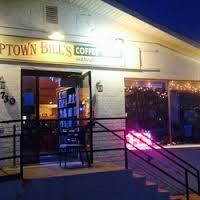 It meets from 1-3pm on the 2nd and 4th Thursday of each month at Uptown Bill’s. 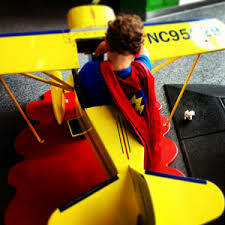 On the last Sunday of every month, the ICM hosts “Super Hero Night” from 6:00 – 7:30pm. With the doors close to the general public it is a great time for people with disabilities and their families to enjoy the museum in a much quieter and calmer environment. Staff are available to engage in art and craft projects in the art room. NAMI-JC is the local affiliate of NAMI Iowa and NAMI National. They offer a broad array of services to the community, including support groups, education, classes, advocacy, as well as a family support help-line. 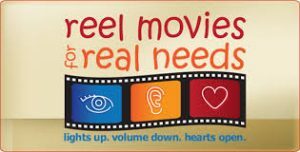 Sycamore Cinema at Iowa City Marketplace (previously Sycamore Mall) participates in Marcus Theatres Reel Movies for Real Needs program serving families with special needs such as autism or other challenges, who seldom attend movies. Reel Movies for Real Needs creates a welcoming and comfortable environment – lower sound, lights up – where families with children who need accommodations will be able to share the experience of seeing family-friendly films at a theatre. Please see the website for a list of the upcoming, first-run movies. This Special Olympics team is managed by the Special Populations Involvement (SPI) program of the Iowa City Parks and Recreation Department. They sponsor many sports, from basketball to bocce, swimming to bowling. Uptown Bill’s is a gathering place where people of all abilities are welcome in the spirit of it’s namesake, Bill Sackter. It is a project of the Extend the Dream Foundation, whose purpose is to increase employment opportunities for people with disabilities and support micro-enterprise. At their S. Dubuque location (which also houses a bookstore) they serve coffee, sandwiches, and shakes. They host many events, including the GRASP Autism Support Group which is for adults on the autism spectrum. Please check their “Events” page for updated meeting times.